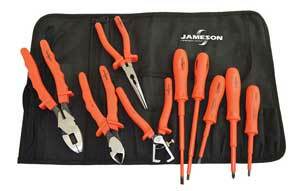 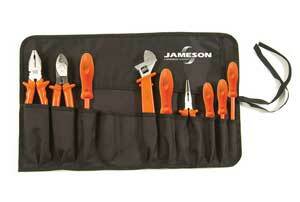 Jameson constructs their insulated hand tools with heavy-duty injection molded Nylon 11 to provide maximum electrical protection. 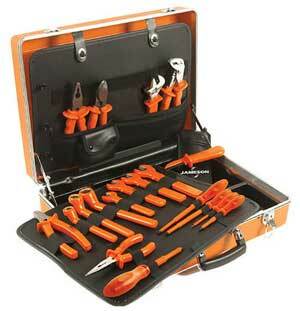 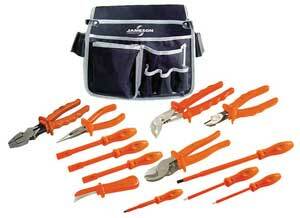 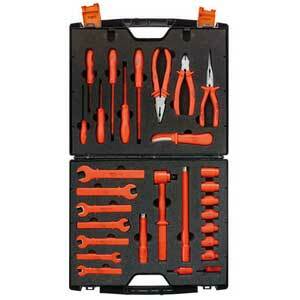 This makes them the ideal hand tools for working with or close to live parts at nominal voltages up to 1,000 volts. 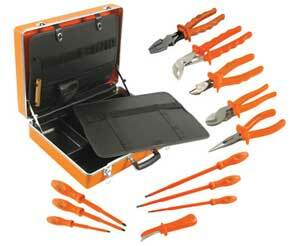 Each tool in these kits are flame-retardant, exceeds high-temperature testing of 158° F, and is Category "C" Cold Impact tested down to -40° F.